Perfect for all occasions and outfits from daywear to your LBD. 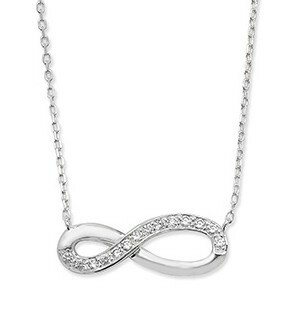 Sterling Silver chain with the distinctive Infinity symbol, part smooth Sterling Silver, part embellished with shimmering cubic zirconia. Infinity symbol 2.2cm.